Let's talk about fried chicken now. 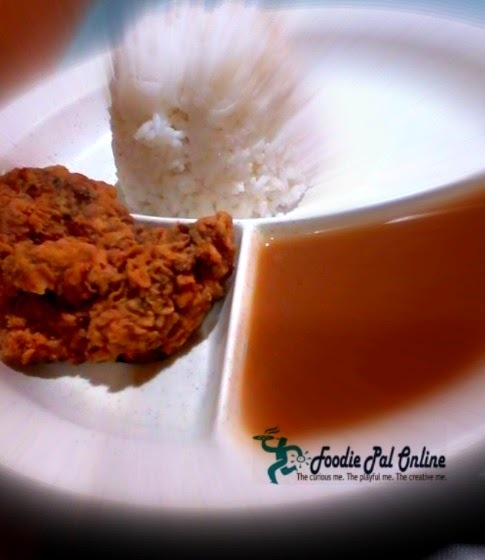 How many of you wondered, why everything about food here in the Philippines is all about the CHICKEN. I think this is a flagship dish/meal food here in my country today. Wherever you go in the city, these street food stalls selling is more on the chicken, every part of it is being grilled and cooked from drumstick, breast, gizzard, liver, wings and heart. Most of the food taste pretty good, but what I usually observed fried chicken is the most salable, make it be in a street market or inside a fast food chain. I love fried chicken, it's like I want to eat 24/7, it's not an addiction but I think because it is more cheaper compared with other food in the MENU that is serve in a restaurant or a fast food chain. 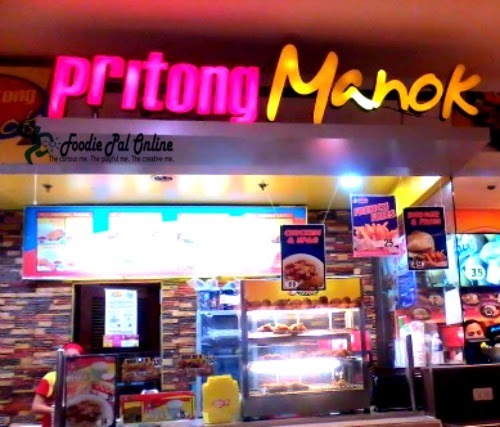 But I'm a bit more forgiving in terms of food offered in a food court, like for example PRITONG MANOK. I know food serves here is a little less because it is not that kind of a BIG FOOD STORE like KFC, McDonald or Jollibee. This homegrown franchise company started here in Davao, a proudly Davao made company that has been here for years and have grown its store all over the Philippines. We went to SM Ecoland to process our passport, since the Department of Foreign Affairs is located on the 3rd floor of SM City Ecoland, while waiting we decided to eat at the Food Court(2nd floor). We ordered BREAST MEAL and DRUMSTICK MEAL plus two mineral water. The fried chicken is hard to mess up, the pieces are weirdly cuts just using the cleavers to chop the chicken. The food is cold, the rice is soggy and the gravy is runny as in too much liquidity. I am so disappointed because they are known to serve the BEST GRAVY in town. Their new location is not quite bad, big place because they are inside the food court. Service here is very nice. Yes, and try another food stall in the food court. Yes, if I am in a hurry and have a quick lunch by myself, a friend, a co-worker or a family member. And yes, if I have important appointment and need to go shopping after. But the place is not good for meeting or a date, so crowded. The SM Foodcourt offers a large variety of food that can cater to everyone's tastes. 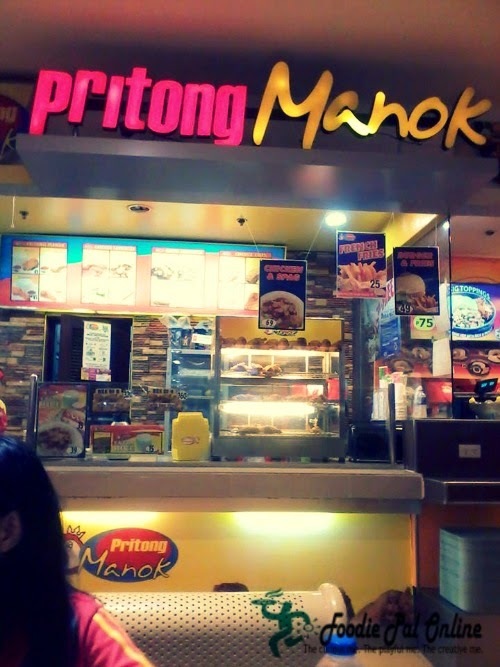 Pritong Manok must be a hit for Filipinos. Sadly, the chicken was served cold and the rice was soggy. The management should improve in this area soon. Ako rin. I do love fried chicken,. Never akong magsasawa rin. 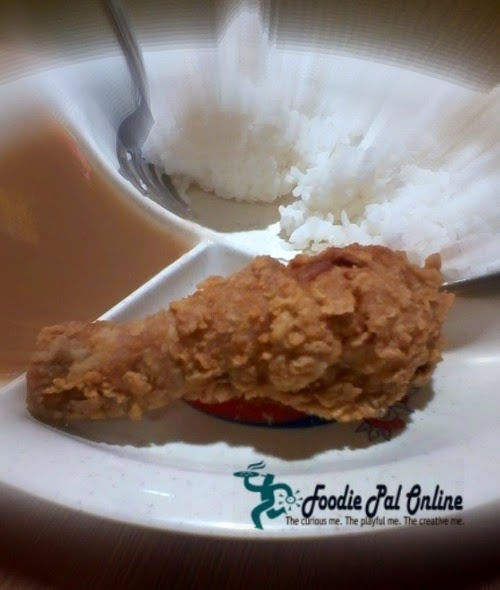 Yes, picking the right fried chicken is a must and those from Pritong Manok seems crunchy, crispy and deli. May branch kaya sila sa ATC? It looks so tasty and doesn't look as commercialized as other fast food area. There are so many food choices now at SM, this seems like a good value and affordable find for anyone looking for a quick fried chicken meal.